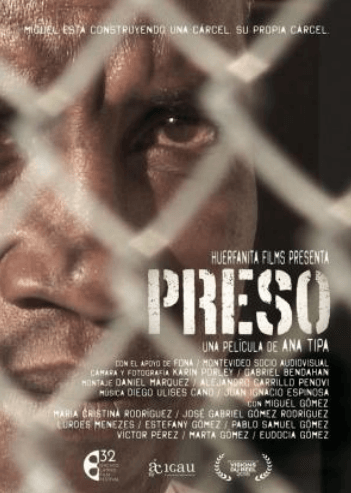 Synopsis: While working on the construction of the largest prison in Uruguay, Miguel leads a double life. Frequently, he crosses the border with Brazil, to spend the weekend with his "other" family. On both sides of the dividing line, Miguel devotes much of his free time to the improvement of his two homes. But, as the jail walls grow, his constant physical activity stops mitigating the torment that inhabits his body. Overwhelmed by guilt, Miguel sets out to reveal the truth to his loved ones ... and struggles to find the courage to do so. Duración / Duration: 61 min.